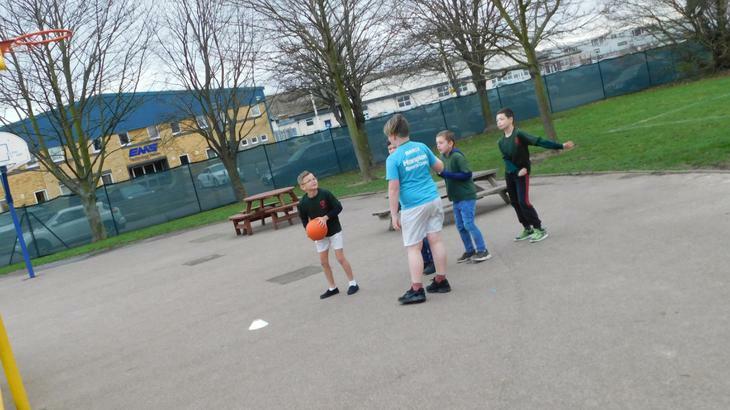 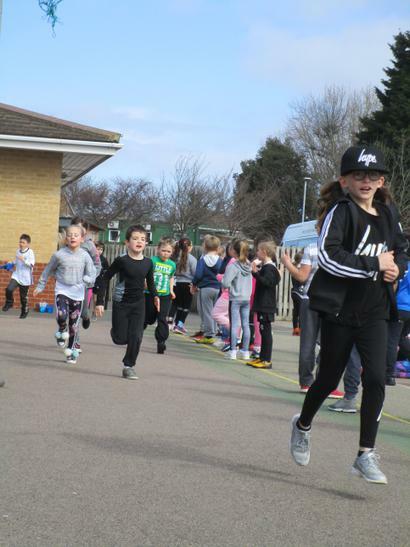 As an inclusive school, we want to promote a healthy and active lifestyle and Sports Day is always one of the most exciting events of the summer term! 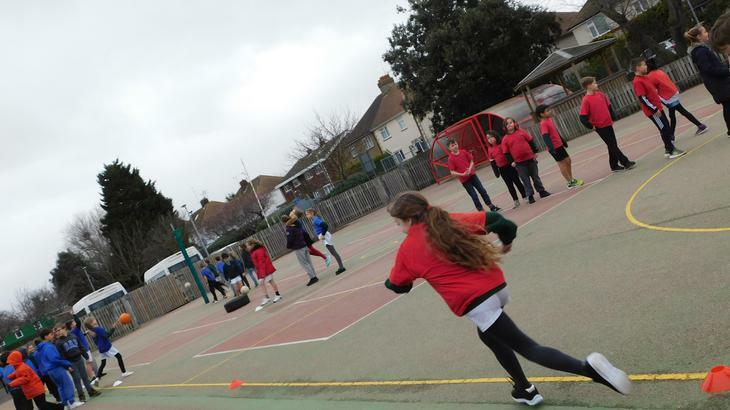 A large part of physical education is about participation and success. 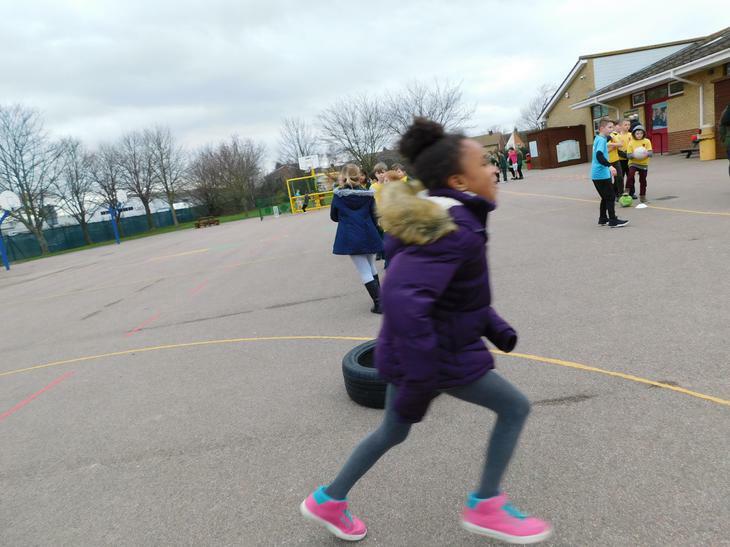 In our sports day all the children are participating in a carousel of activities competing against each other, enjoying themselves, and using the skills they have learnt in P.E lessons. 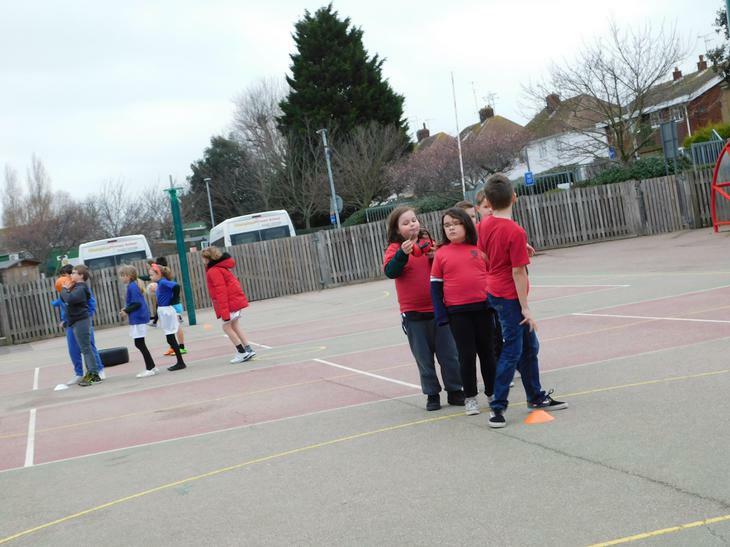 This year as the children move around in their house colour teams, they will be earning points for their houses. 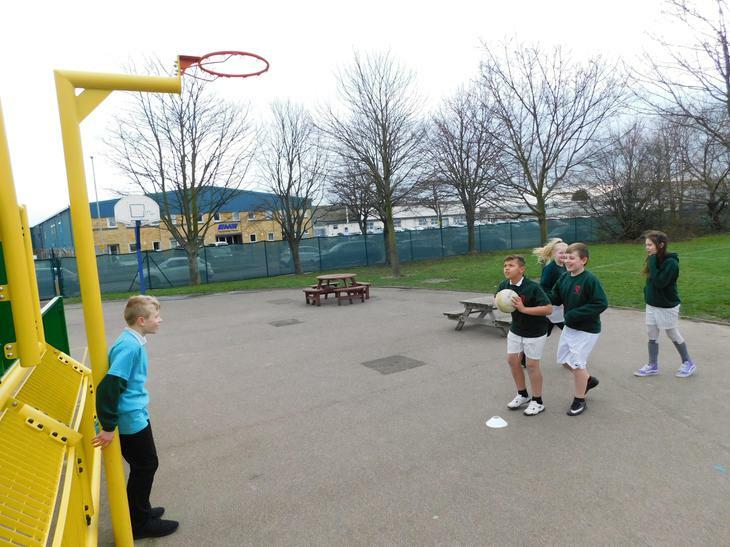 Their scores will be added to the running total for Sports Week and announced to all the children. 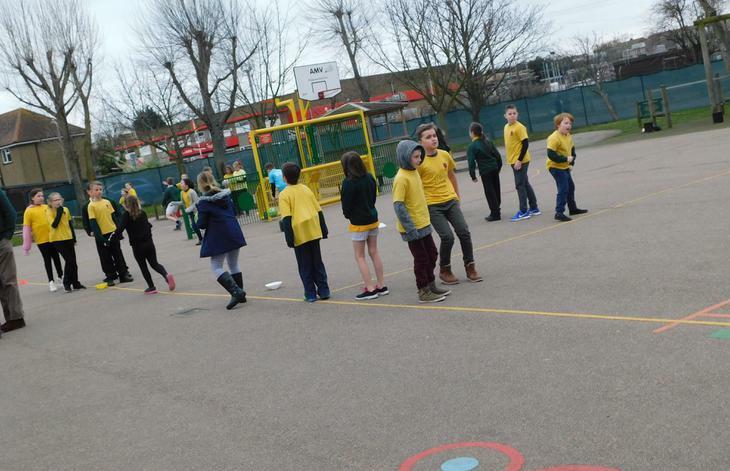 Each term Hampton holds Intra House competitions, between our four house colours: red, blue, yellow and green. 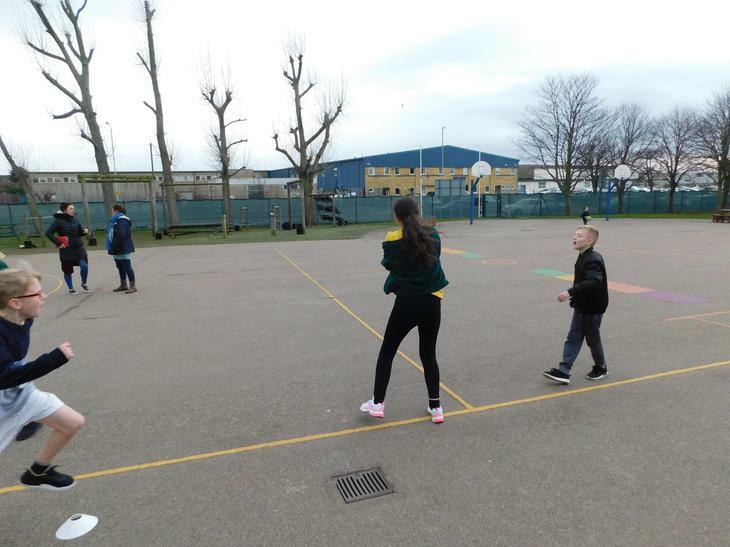 This gives all children the opportunity to take part in different sports and multi skilled activities to earn points for their colour house. 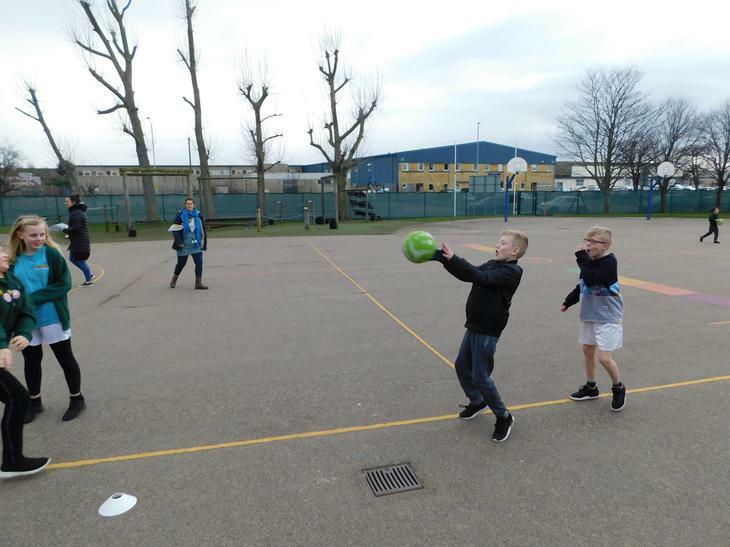 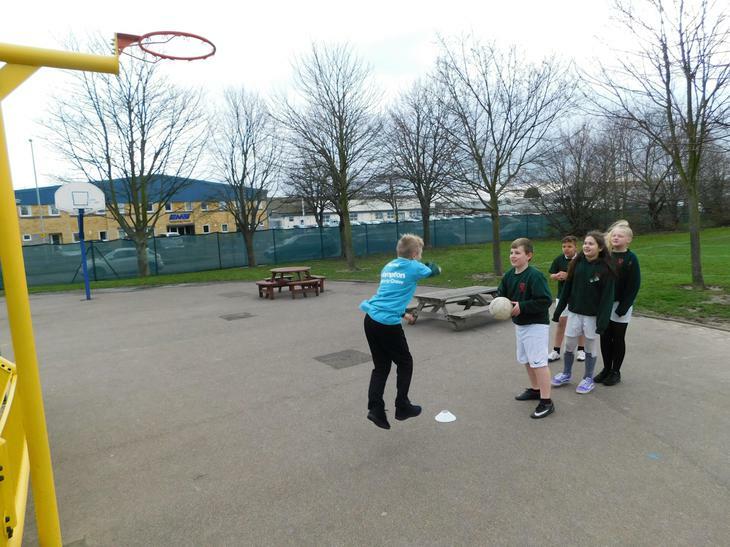 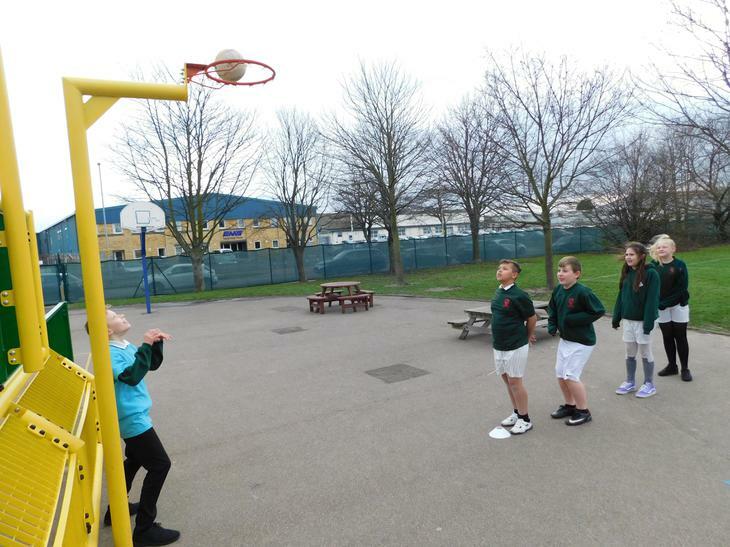 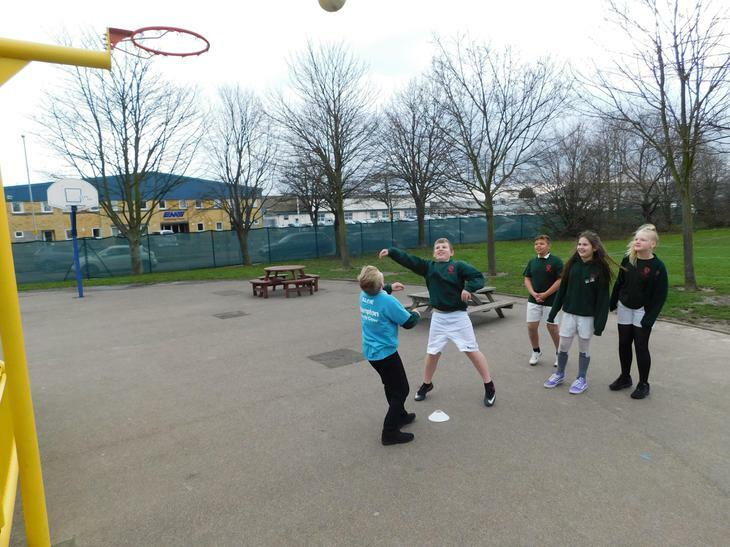 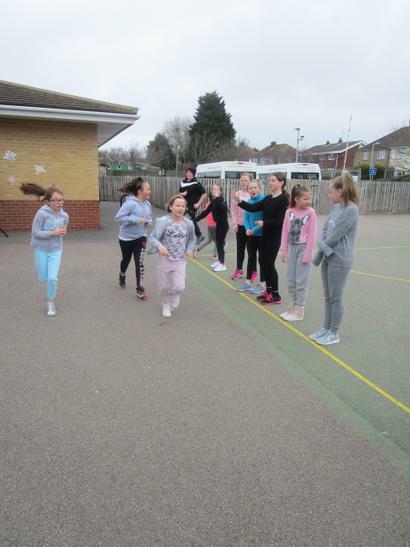 Our enthusiastic Year 6 Sports Crew help create the activities and run the events supporting and guiding the children. 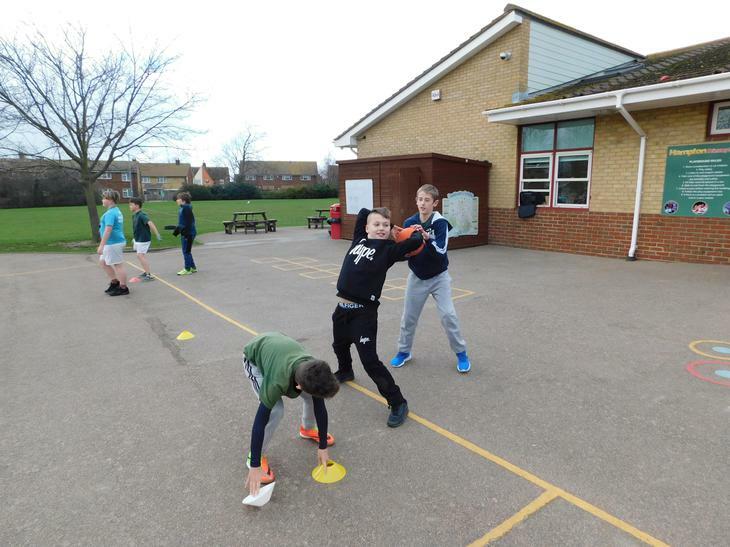 All children have the opportunity to participate, learn new skills and most importantly have lots of fun! 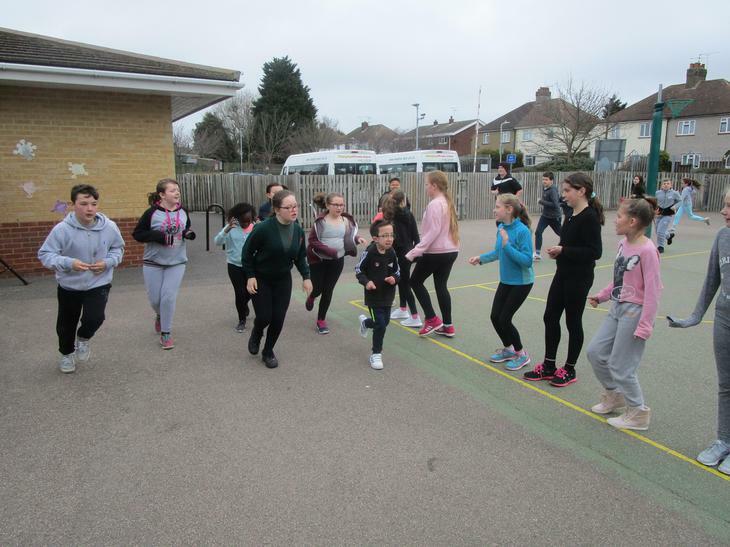 Last Friday we raised an amazing £387.88 for sports relief. 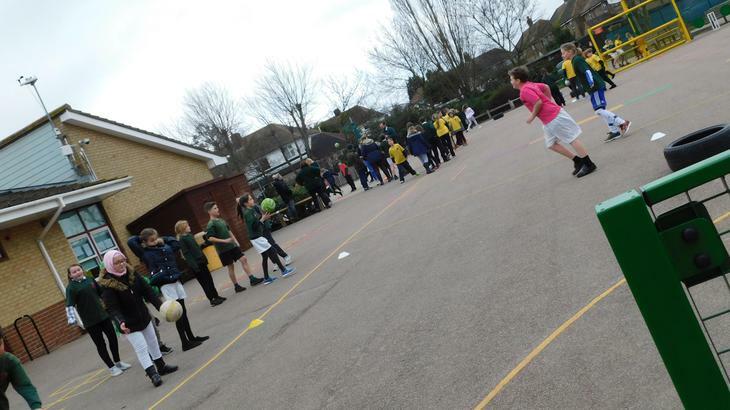 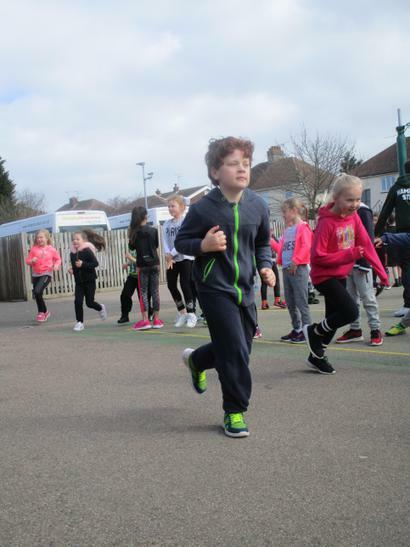 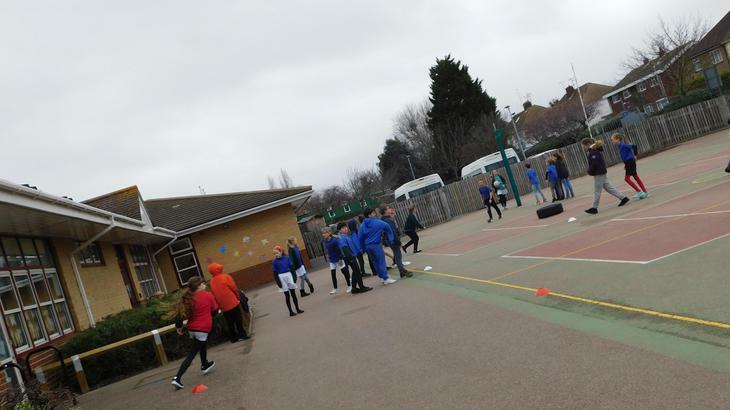 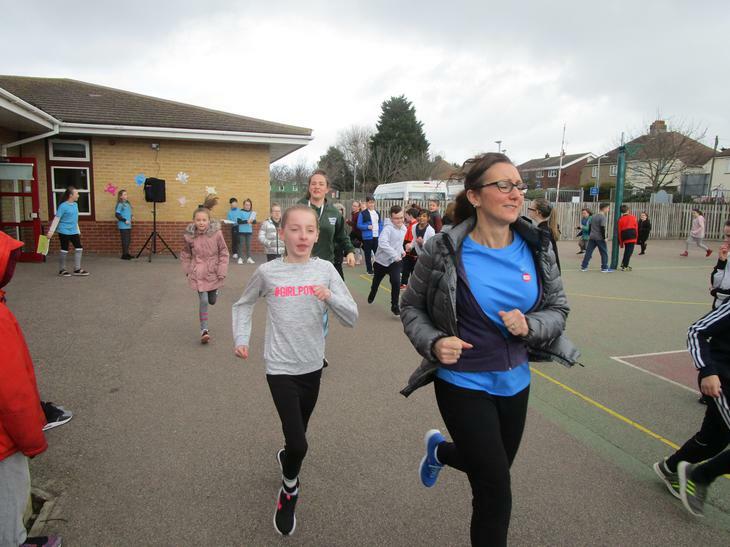 All the children competed in a 4 minute run for their house colour, to see who could run the furthest from Hampton all in aid of sports relief. 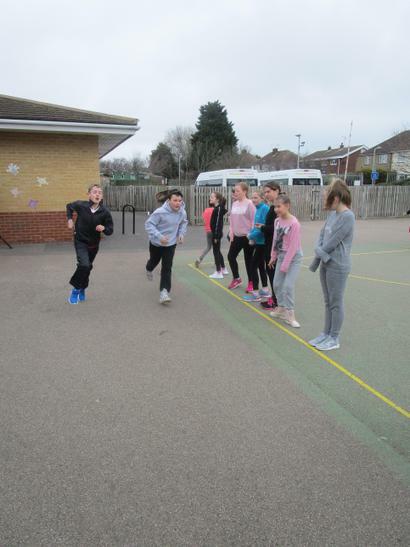 The children demonstrated all of Hampton's Values and really enjoyed it with the Sports Crew cheering them on! 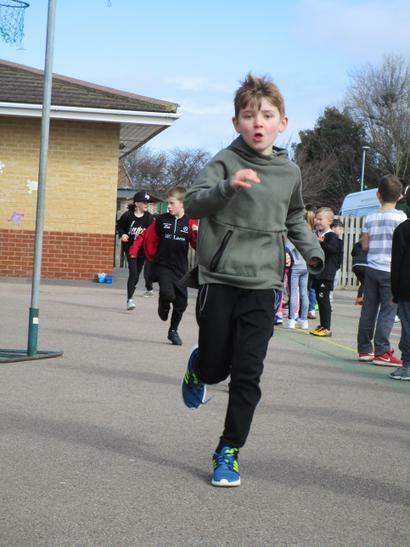 The laps were calculated and added together and converted into miles. 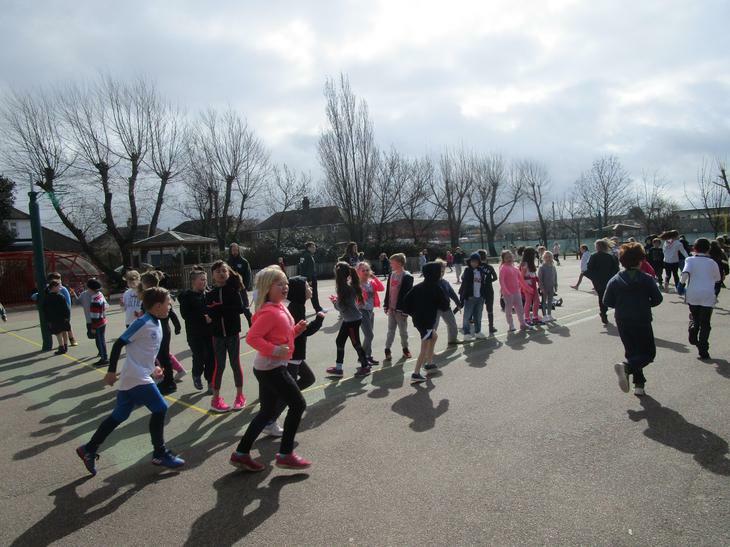 The children ran the following from school, in a straight line.